This week the Firefighter Training Podcast talks about the NFPA and how to interact with them, and we discuss Personal Protective Gear. 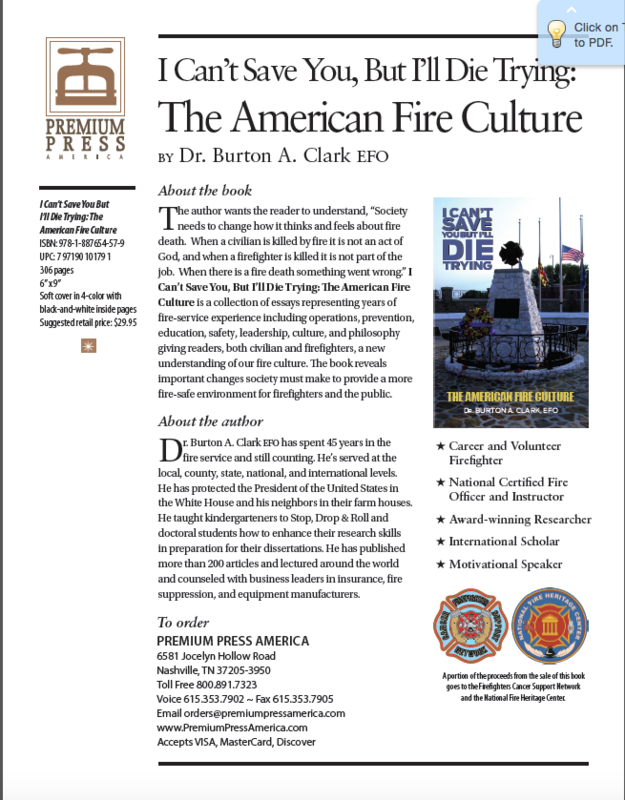 Dr. Burton A. Clark, EFO has over four decades in the fire service at the local, county, state, national, and international levels. Burt has published more than 200 articles, 45 of which have been selected for his book. 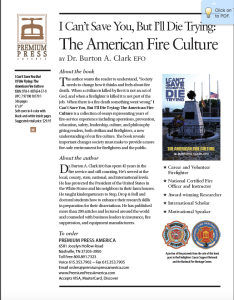 years of fire service experience including operations, prevention, education, safety, leadership, culture, and philosophy giving readers, both civilian and firefighters, a new understanding of our fire culture. The book reveals important changes society must make to provide a more fire safe environment for firefighters and the general public. His book will be released in April 2015. Pre-release orders are available now. NOTE: Large quantities available at special discounts & shipped Bestway. This week the Firefighter Training Podcast talks with Captain Andy Starnes about the tactical use of a thermal imaging camera. We also introduce the new training website instructorjohndixon.com that we ask listeners to check out. On this episode of The Firefighter Training Podcast I quickly review the new fire department leadership program I have developed and is ready for delivery. The Program is split into modules and offers a personnel and administrative side and an operational side for the new officer. Contact me if you would like to be considered for one of the pilot delivery sessions either online or in person. 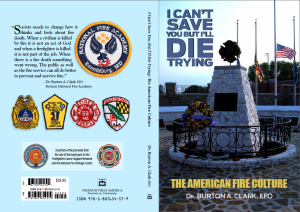 This week The Firefighter Training Podcast interviews Captain Michael Morse who is the author of the blog Rescuing Providence and also the book by the same name. This interview tales a look at the City of Providence RI though the eyes of an urban EMS provider.